Josef Jandac, head coach of Metallurg Magnitogorsk agreed to become a columnist for our website. He shares his feelings about what happened on and off the ice in KHL. To allow for more direct communication with the fans, we let Josef talk in the first person. Today KHL.ru presents you the fifth installment of Josef Jandac’s blog. 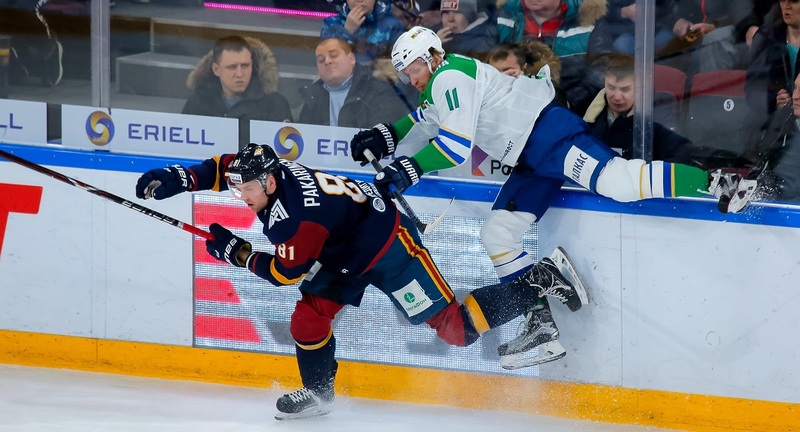 To tell you the truth, I’m still disappointed with the ending of the series against Salavat Yulaev. I’m thinking all the time about the last game, where we lost. I think we looked good during the game: in regulation, we outplayed and outshot our opponents. I was sure that we had a chance to win and to return to Magnitogorsk for game seven. Unfortunately, this didn’t happen: at only 40 seconds to the horn, we allowed a goal and the game was 2-2. Both for players and coaches, such a goal is a tremendous blow. We tried to motivate the guys toward OT but doing so was very hard. We had a glimpse of optimism when we earned a powerplay, but after only ten seconds the refs whistled a penalty against us… In the end, the opponent’s first line of Omark, Kemppainen, and Hartikainen – known for its scoring ability – made the result for Ufa. Moreover, another factor played a role in favor of Salavat Yulaev. In the latest installment of my blog, I noted that before the start of the series Ufa had more rest. They had a long pause before the kickoff of the Gagarin Cup playoffs. They also sit their leaders in the latest few games as they couldn’t climb higher than the sixth place in the standings. Metallurg fought until the last match for the third place in the East and couldn’t allow itself such a luxury. However, I don’t want to sound like I’m making excuses: I’m merely constating the fact that Salavat Yulaev’s first line was fresh and rested, while our first unit was tired, and it played a significant role. Before the series kicked off, we talked about how to face the opposition’s top unit. In the home games, we had the chance to change lines after Metallurg. Thus, we managed to match them to our checking line. I think that at home, they did a good job, excluding game two. That time, Metallurg was down by two goals after only nine minutes, and we couldn’t rally back. Things were much worse in road games when we had to change first. And in these games, Ufa’s top line scored a lot. The only thing that I didn’t like is that Omark was often falling on the ice. I talked about it during one of the press conferences. I respect Linus, but players just don’t have the right to act that way. It’s a known fact in our hockey world that Omark embellishes his falls. And in that game, we were whistled a penalty for something that never happened. This was confirmed by the same refs, who admitted their mistake. I just want to highlight this fact so that, in the future, the refs won’t buy his falls and that Linus will stop acting that way. My other loud performance in a press conference was more spontaneous. I’m talking about the time when I said that Metallurg fell in an unpleasingly smelling substance. I really wanted to explain the journalist the situation around the team. It was impossible to find the exact word, and then I blurted out the first thing that came to my mind. The Czech and Russian languages are very similar, and this lousy word is present in both dictionaries. It sounded a bit vulgar, although I am not a fan of swearing. I also had to hear that Metallurg’s veteran players were below their potential. I can’t entirely agree with this. I think that Vasily Koshechkin played very well in the first game. In the second match, he had to face Salavat Yulaev’s attacks since the first minute. He managed to cope with something but failed in others. However, we lost and decided to try to shake things up switching to our backup goalie. In game three, yes, he allowed three goals in four minutes, so the team needed a change. Generally speaking, Koshechkin had no fault on the allowed goals, those were the result of defensive mistakes. Regarding our top unit, it kept the team going for the whole regular season. They were the victims of our tense ending of the regular season. They aren’t young anymore and didn’t have a chance to rest. As a result, they didn’t have enough forces for the playoffs, especially at the end of the series. After the last game, I didn’t have a long speech in the locker room. The guys were sitting there in silence, and it was hard for us, the coaches, too. I said a couple of general words, thanked the guys for the season, and all. We’ll have other chances to meet and talk more. We also need to organize the upcoming practices. Some players have their contracts running out, some others were assigned to the Steel Foxes in the JHL for the playoffs. Putting all in the same mixing pot won’t work here, and the practices must make sense. I can’t say anything regarding my future. The team’s GM Gennady Velichkin and I agreed to talk about this next week. I still have one year on my contract, but things are up to the team’s boards. Personally, I would like to continue with the process. I enjoy working in Magnitogorsk. We weren’t successful in the playoffs, but in the regular season, the team showed a good play. In any case, this is something for the boards: I’m not going to judge my own job.